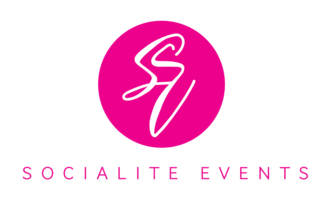 Socialite Events has carefully crafted packages for your convenience. Read through your options below, don’t see a good fit… no worries we will be happy to customize options that work specifically for you to meet your needs! This all-inclusive package is designed for the client who has limited time, does not know where to begin, or is overwhelmed with the planning of their event. Appropriately considered The Concierge as Socialite Events facilitates all aspects of making your special day flawless, and not to mention, worry-free. o	This Weekend Wedding Management package is designed for the Socialite who has done everything and simply needs someone to oversee and ensure that everything happens to their every desire. This package secures Socialite Events’ involvement no sooner than 3 months to obtain status and vendor information. We gather your hard work, polish timelines, and open communication with vendors to ensure your planning efforts turn into seamless execution. o	This DIY (Do It Yourself) package is designed specifically for clients who feel confident they know what to do; but are unsure of who to call. With this package clients gain access to an elite list of 3 vendor options based on the client’s needs for the occasion. That’s right we serve as “The Liaison” between you and the absolute best. This package excludes Socialite Events initiating contact with vendors and contract negotiations, but will allow unprecedented access to the best vendors for your specific budget. If the client wishes, this package can be altered later, and serve as a credit toward a Socialite Events Coordination Package of their choice. This Special Event Management package is designed for the Socialite who understands to importance of celebrating life’s most important events. This package allows and all access pass into the elite list of vendors that can transform your ideas into reality. We guide you from start to finish in making your special event, whether quaint or over-the-top, a treat for both you and your honored guests.